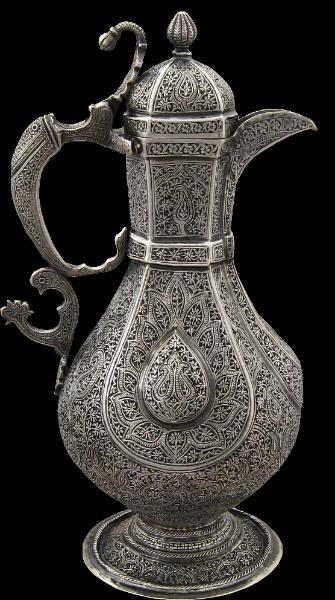 This beautiful silver ewer is in the style of a Bukharan tea pot, although the work is clearly of Kashmir origin – the teapot is chased all over with the Kashmiri ‘rosette’ pattern within floral and paisley borders. 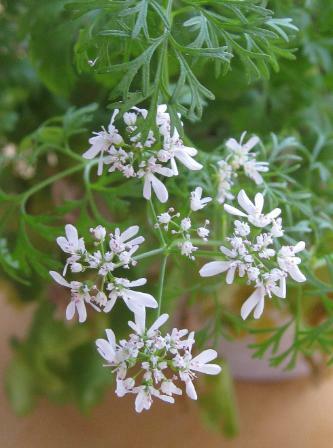 The rosette pattern is based on the flowers and foliage of the coriander plant. 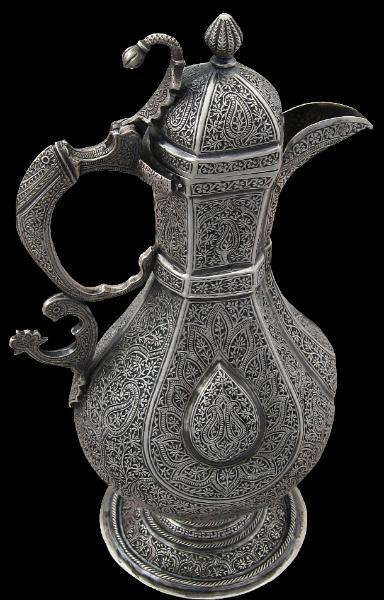 The teapot has a tear-shaped flared body that is decorated with tear-shaped cartouches to either side. It sits on a wide, flared foot. The spout is prominent and continues down the base. The lid has a bud finial, matched by a bud-like protuberance that rises and curls down from the handle. 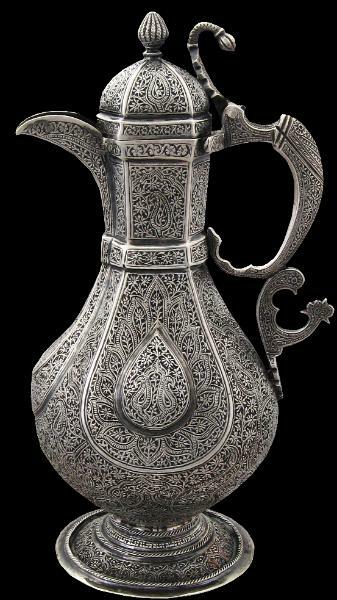 makhara (upper part); the stylisation allowing the silversmith to conform with Islamic notions that mitigate against the overt depiction of animal and human forms. Overall, this is an immensely satisfying piece. The proportions are excellent, the work is particularly fine and the item has surprising weight in the hand. There are no repairs, dents or any other problems. The lid fits tightly and the teapot sits solidly and perfectly flatly.